If you’re needing a plumber in Tadcaster or Bramham we can usually be with you in less than an hour. Unlike some plumbers we only charge from the time we arrive, there is no call out fee! EmergencyMan are available 24/7 for all kinds of plumbing and heating related emergencies. For general plumbing such as leaking taps and backed up toilets you will have a Fully Qualified Plumber who can also Repair Unvented Hot Water Systems. Any work such as Gas Combi Boiler and Heating Repairs shall be carried out by engineers that are members of the Gas Safe Register. We also have the necessary skills and equipment to Unblock Outside Drains. As aforementioned, for any general plumbing work in Tadcaster and the surrounding areas we can usually be there the same day. Our plumbers have fully stocked vans and are properly prepared for all kinds of work can get the job done in that first visit. Should we need any parts or materials we don’t happen to have we can source these quickly. 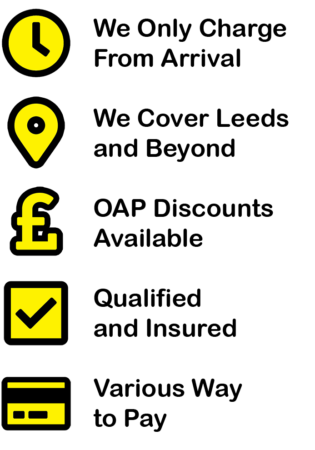 We charge a fixed hourly rate and you only pay from when we arrive. As with our emergency call outs, there is no call out fee for general plumbing work. You shall receive an itemised invoice which will clearly show fixed hourly rates. From burst or frozen pipes to overflows and dripping taps, we’ve done it all and keep to our high standards no matter the size of the job. Tadcaster town, in North Yorkshire, may be a little out of our main areas but we’ve been there quite a few times and will do again. 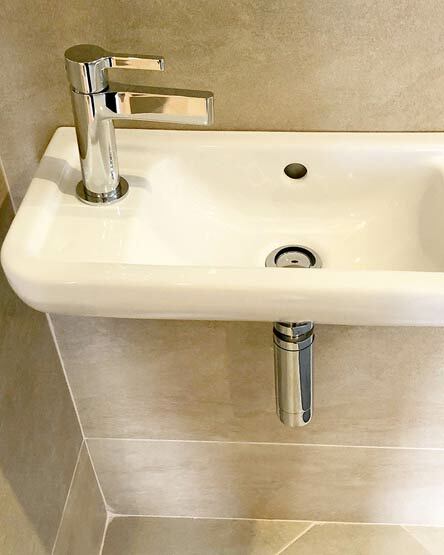 This lovely modern looking sink with stylish tap and waste pipe sadly suffered the same fate as many other sinks. Marlene Walsh from Tadcaster called us out to unblock this sink, it was a case of cleaning out the waste pipe as it was full of shaved hair, an all too common occurrence! A plumber that’s quick to come out, friendly and efficient. I’ve used EmergencyMan a couple of times and very happy to recommend. We’re happy to travel to North, South, East and West Yorkshire, to places such as Tadcaster and beyond, so if in doubt just give us a shout! Any Gas Engineer sent by EmergencyMan shall not only be on the Gas Safe Register, they will also be fully insured. With extensive knowledge and experience they can get most gas boilers or troublesome heating systems repaired and up and running the same day. You can have our plumber fix all kinds of issues, fully qualified with bpec certification and highly skilled in all areas of plumbing work, also covered by insurance.